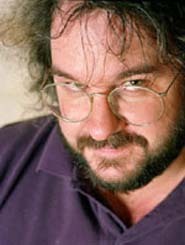 Peter Jackson grew up in tiny Pukerua Bay, a New Zealand community of about a thousand residents. He was eight years old when his parents purchased a super-8 movie camera, intending only to film family moments for nostalgia's sake. The camera became Peter's by default when he decided to become a filmmaker. His decision was made, he says, while watching a telecast of the original King Kong. During his teen years Jackson tinkered with stop-motion animation, created other special effects on a teenager's budget, and filmed numerous short films with his parents' camera and his friends' help. He attended high school at Kapiti College and at 17, he applied for an entry-level job at a New Zealand film production company called The Film Unit. When they would not hire him, he dropped out of school to take a job in the photo shop at the local newspaper, but during his spare time Jackson continued working on his amateur films. After upgrading to a spring-wound Bolex 16mm camera, he spent four years filming on weekends to complete his first low-budget feature film: Bad Taste, starring friends, family, and Jackson himself. He financed the film with his newspaper paychecks, purchasing another camera, building his own dolly tracks and crane, and handcrafting his film's special effects. Bad Taste was well-received in New Zealand, screened at the Cannes Film Festival, and made it as far as America, where it was screened for midnight shows at adventurous theaters in university towns. While making Bad Taste, Jackson got his foot into professional filmmaking when he asked his girlfriend, writer Frances Walsh, if he could accompany her to the set of Worzel Gummidge, a children's TV show she wrote for. Soon Jackson was on the show's informal staff, crafting some of the program's special effects. When a bit player failed to show up one morning, Jackson played a farmer in one episode. Within a few years, he married the girlfriend, and she has co-written all of Jackson's films since 1989's bloody puppet comedy Meet the Feebles. Their films include the over-the-top gorefest Braindead, the adolescent murder tale Heavenly Creatures, the supernatural thriller-comedy The Frighteners, the 2005 remake of Jackson's beloved King Kong, and the Lord of the Rings trilogy, which everyone knew could never be filmed and which won Oscars for Jackson and Walsh). The one-time DIY moviemaker reportedly spent $275-million making the Lord of the Rings films, and was hailed by audiences and critics for remaining faithful to the philosophy and general plot of J. R. R. Tolkien's novels. Including theatrical, home video, and TV broadcast rights, the films earned about $6 billion, and 17 Oscars. Jackson has never considered leaving New Zealand, and films all his movies there. With his earnings from the first Lord of the Rings picture, he purchased The Film Unit -- the company that had declined to hire him so many years earlier. Jackson has since upgraded TFU's facilities and equipment, putting it in the same class with George Lucas's Industrial Light & Magic. At present he is filming The Hobbit, using an innovative new 48-frame per second format -- twice the rate of ordinary film, which promises clarity of image never before seen at the cinema.